It's been announced that Kuraki Mai will be releasing her 38th single, "Koi ni Koi Shite / Special morning day to you", on August 15th! "Koi ni Koi Shite" has been picked up as the ending theme for the anime, 'Meitantei Conan', starting August 4th. Meanwhile, "Special morning day to you" will serve as the CM song for Canadian natural water 'ICEFIELD', which stars the singer herself. The limited edition will come with a DVD containing the music video for "Koi ni Koi Shite", and 3 different CMs for 'ICEFIELD'. It will also enclose a 'Meitantei Conan' card. 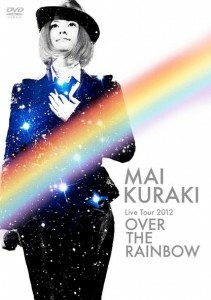 Along with the new single, Kuraki will simultaneously release a new live DVD featuring the finale of her recent nationwide tour, 'Mai Kuraki Live Tour 2012 ~OVER THE RAINBOW~'. As a special favor, it will include a documentary with behind-the-scenes footage from the tour. Additionally, Kuraki will be holding a live collaboration with Tokyo Philharmonic Orchestra on September 6th and 7th at Tokyo Metropolitan Art Space Concert Hall. She will be performing her hit songs with a full orchestra, and she's also scheduled to sing her new songs for the very first time. Ticket pre-orders are currently ongoing through Being Group's music portal site, 'Musing', until July 22nd. On GACKT, ICONIQ says "I like him very much"